Endometriosis is a condition in which cells and tissue from inside the uterus begin to appear in other areas of the abdomen. 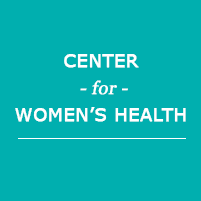 The professional staff at the Center for Women's Health offers a personalized treatment plan for endometriosis and other health conditions that affect a woman's reproductive system. If you live in the Oxford, North Carolina area, you're welcome to call and schedule an appointment if you're having symptoms such as pelvic and/or abdominal pain, irregular periods, and bloating. You'll be offered an individualized treatment plan that's specific to your needs. Endometriosis occurs when cells and tissues that are normally found in the uterus begin to appear in the abdominal cavity. Endometrial tissue can adhere to other organs and start to function just as they would if they were still inside the uterus. Each month during your menstrual cycle, the tissue will begin to shed and bleed in much the same way as the uterus sheds its lining. If not treated or at least controlled, the repeated shedding of the endometrial tissue can lead to scar tissue that damages other reproductive organs. This can eventually lead to infertility and other problems such as adhesions that cause the organs to become attached to one another. Endometriosis may not start to produce significant symptoms until damage has started to occur. In some cases, the symptoms are similar to those that occur with your menstrual cycle, allowing you to possibly associate them with their period. In most cases, the providers will notice subtle differences in the abdomen during a pelvic exam. If you have noticed an increase in the severity of the symptoms associated with your period, they may make a preliminary diagnosis. With the use of an ultrasound and other digital imaging techniques, they will be able to provide a more accurate diagnosis. The only way to stop the progression of endometriosis is to stop your periods. Even if the periods are stopped, the existing lesions will remain as well as any damage they may have caused. The only “cure” for endometriosis is a hysterectomy that removes the uterus and endometrial tissues from the body. During the procedure, the providers can remove any endometrial tissues located in the abdominal cavity and repair any damage that has been caused. Extensive damage may cause scarring that can have an impact on other organs in the body. They may schedule additional tests several months after the procedure to ensure all of the endometrial tissue has been removed.